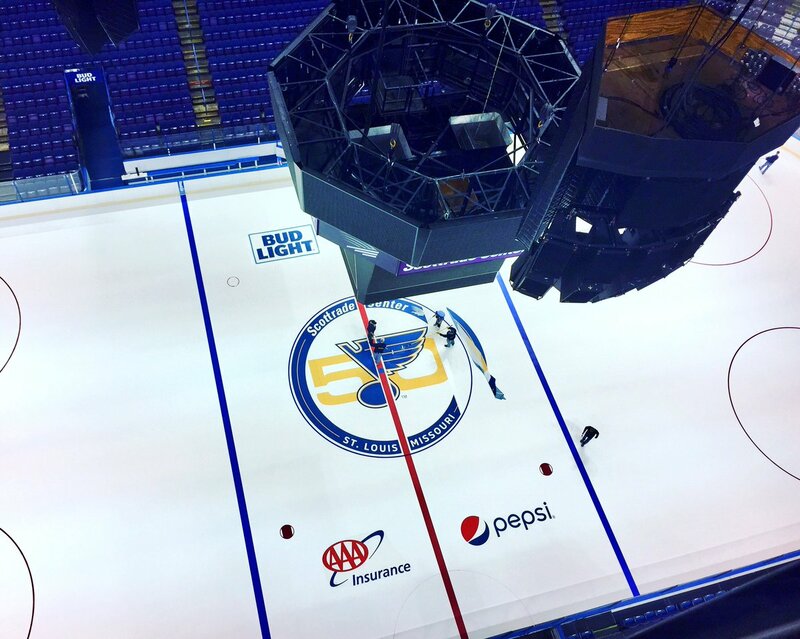 The Blues have not messed with their center ice design for many seasons. The last major change came in the Fall of 2009 when they switched to one large Blue Note. 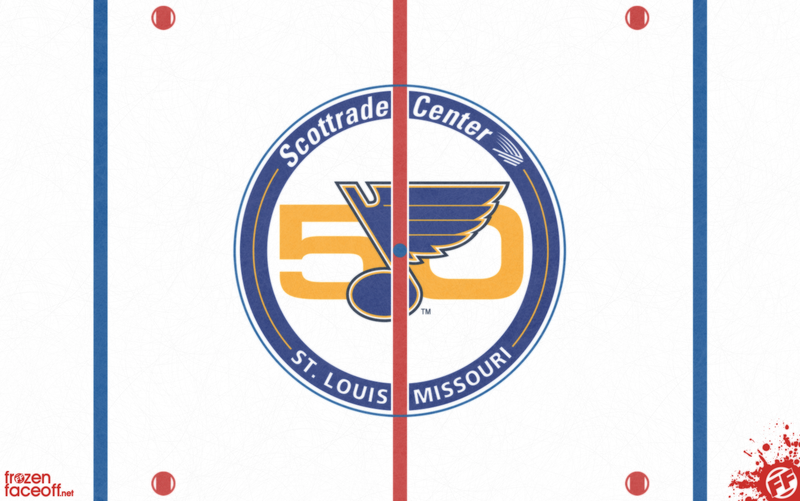 But with the 50'th anniversary season set to begin, the Blues opted for a very different look to celebrate this special milestone. 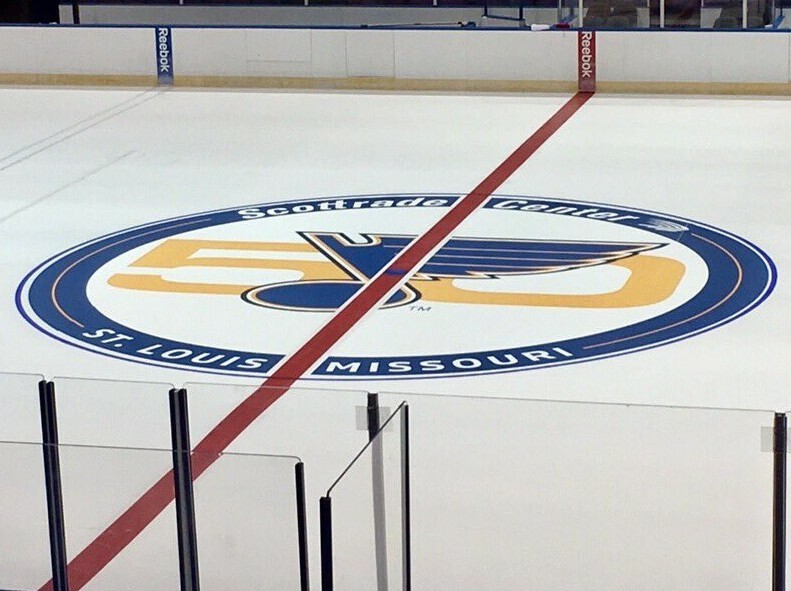 You can see the full history of the Blues center ice designs here.